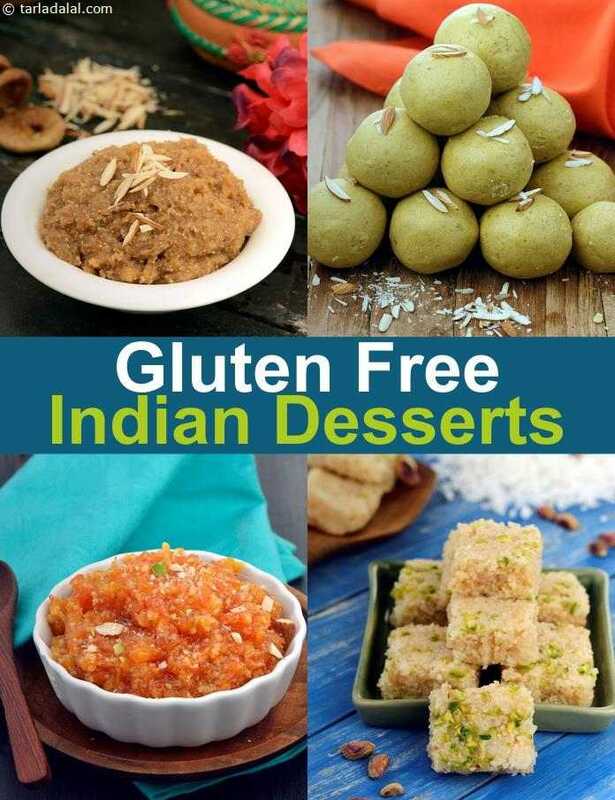 Bid adieu to desserts made using plain flour and other wheat-based products, and welcome into your home other mouth-watering, gluten-free desserts! From ice-creams and cakes to Indian mithai like laddoos and halwas, this section has easy and tasty recipes that will make you drool! Make the Carrot Halwa in a Microwave. Then there is the Anjeer Halwa and Doodhi Halwa. Those Halwas with cornflour have been excluded for you. We have seasonal icecreams like Mango Ice Cream and Strawberry Ice Cream. We created a gluten free Rich Vanilla ice cream too. Many ice creams are made of cornflour like Tender Coconut Ice Cream and Banan Butter Scotch Ice Cream which you have to avoid. Our favourite is the super healthy Low Carb Chcoclate Squares made with a touch of magical sea salt. Then try our Chocolate Cake made with Jowar. Yes, it tastes great. Then there is a lovely Chocolate Pie. Sadly you will not be able to have Rasgulla as it has cornflur. Crepes are out as they also contain cornflour. Basic Chocolate Sponge cake is also a no. These flavoursome whole wheat treats can be adapted for the gluten intolerant by using a mix of jowar flour, soya flour, and rice flour. Make them in advance and store in airtight containers so you can satisfy your hunger pangs and craving for something sweet at the same time!